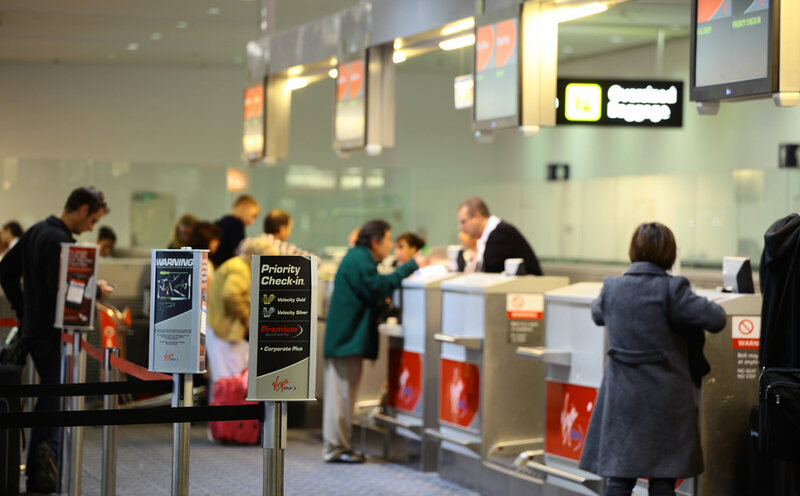 In 2014, following a successful pilot program, and previous adoptions in the domestic terminal, Melbourne Airport added to its passenger check-in capacity to accommodate growth in international aircraft capacity, movements and passenger numbers. The project called for the demolition of three retail tenancies to make way for the construction and installation of four conventional check-in counters, twenty-eight Common User Self Service terminals and twelve Automated Bag Drop facilities. It involved alterations to mechanical, electrical, hydraulic and ICT building services, and software programming and training. Root Partnerships was appointed to administer the contract, liaise with Melbourne Airport stakeholders, and to manage the design and construction of all aspects of the check-in facilities project to meet the stringent requirements of airline and airport authorities. As with almost all projects undertaken within an airport the project was managed in a 24 hour a day operational environment where safety and security are of paramount importance.